The various types of villas are located in groups spread over the small park. You can choose from five variants: 4-pers. 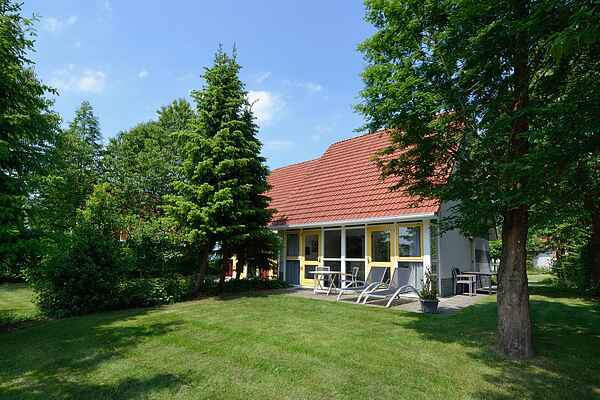 detached villas (NL-9629-03 and NL-9629-04), a semi-detached 4 person variant (NL-9629-05) and two 6-pers. variants (NL-9629-06 and NL-9629-07). The garden borders the water at all villas, except for NL-9629-07. At NL-9629-07 the living room is on the first floor, so you have a beautiful view of the yacht harbour. All villas of -07 have a roof terrace with garden furniture.